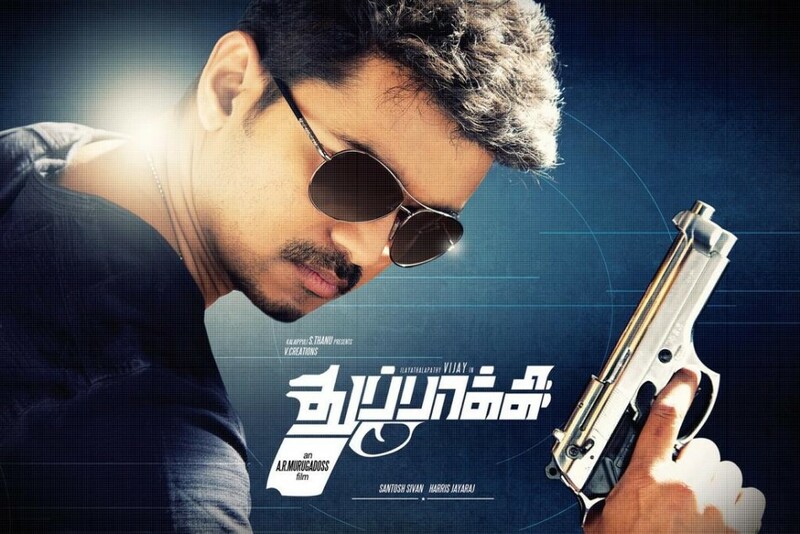 After the disappointment of 7 Aum Arivu, thankfully A. R. Murugadoss takes a step back in the right direction with Thuppakki. With a story based on terrorist sleeper cells in Mumbai, the action is well written and cleverly plotted to build suspense and there are a number of surprising twists towards the end. 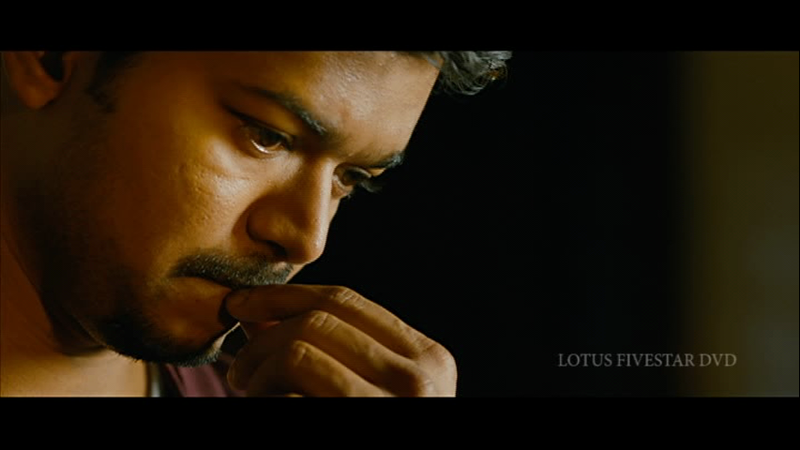 The resolution relies more on the hero’s intellect rather than the usual wham bam of most hero-centric Tamil films (although there are a few of those moments too), and Vijay is at home and comfortable in the role of a special operative in the Indian army. I could have done without the rather dull romance track which didn’t seem to mesh well with the rest of the film, but essentially Thuppakki is one of the better Vijay films of recent times and is definitely well worth a look. Great opening credits too. Vijay’ character Jagdish starts off well by proving that he can fight and dance during an unscheduled train stop on the way back to Mumbai to meet up with his family. While most of the songs are forgettable with fairly dull choreography, this one is much more fun, although that may just be my preference for songs that allow everyone to join in. Once back in Mumbai, Jagdish’s parents rush him off to a meeting with a potential bride Nisha (Kajal Agarwal), but Jagdish is initially not impressed by the traditional sari-clad and demure girl he sees. However, it turns out that Nisha is in fact an athletic sportswoman with a mind of her own and a completely modern attitude. Although this sounds promising, in reality Nisha’s love of sports is only explored in one unconvincing boxing match and in a song. 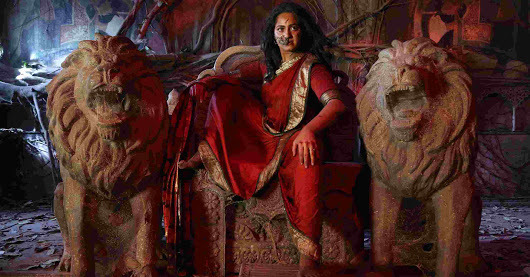 Her character is almost immediately submerged into a rather pointless comedy side plot involving Jagdish’s superior officer V. Ravichandran (Jayaram) and otherwise she remains firmly in the background. 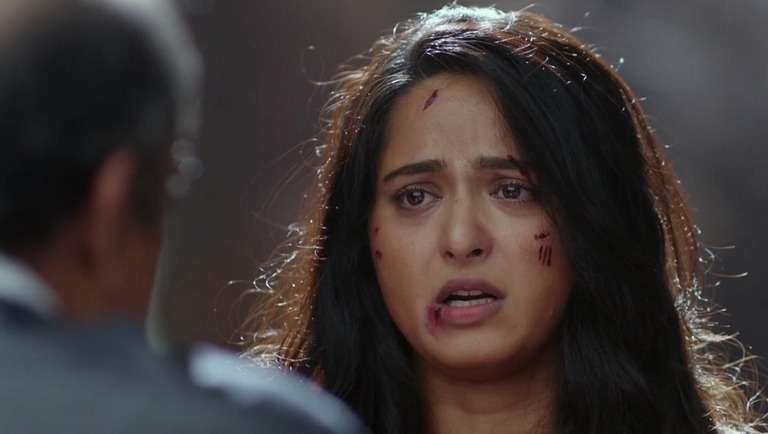 The romance fizzles and after a terrible song in a nightclub it’s not surprising that Jagdish makes a run for it back to the terrorist in his closet. The curse of the costume designer hits Nisha too, so it’s not all Kajal’s fault, but the whole romance track feels very much out of place with the rest of the film and doesn’t add anything at all to the plot. 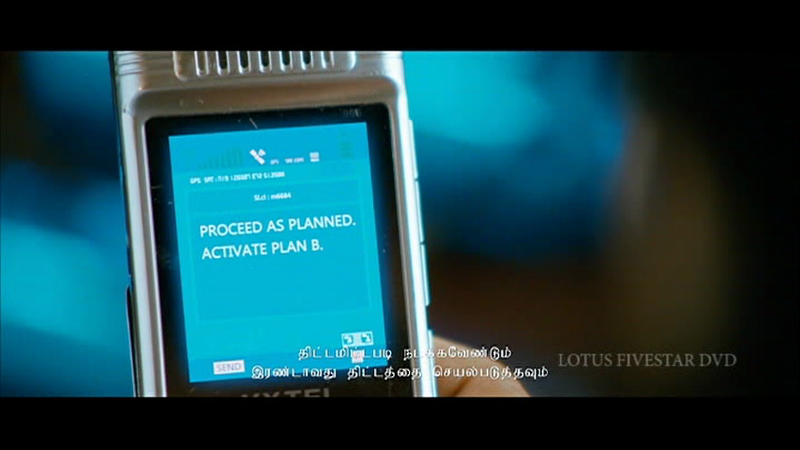 By chance Jagdish is involved in the capture of a sleeper cell operative who detonates a bomb on a bus. Finding out that a senior police officer has been corrupted leads Jagdish to interrogate the terrorist himself, which reveals that our hero is not as clean cut as might be expected. Jagdish has no qualms about torturing his captive and quickly learns of a plot to simultaneously detonate 12 bombs around Mumbai. With the help of some army friends who just happen to be in town for a wedding, he takes out the 12 sleeper cells in a surprisingly tense chase sequence. Needless to say this ensures that the leader of the terrorist group retaliates and heads to Mumbai to deal with the threat to his next plan – plan B having failed! Vidyut Jamwal is excellent as the charismatic leader of the terrorists and his subsequent cat and mouse plot and counter-plot with Jagdish works well even if some of the set-ups are rather far-fetched. Both Vidyut Jamwal and Vijay put in excellent performances and the dynamic between the two works well, although the final fight scene feels staged in comparison to the rest of the film. There are also some odd moments where sometimes a Tamil track overlies Vidyut Jamwal’s dialogue in Hindi, while at other times subtitles are used to translate the Hindi and English words. 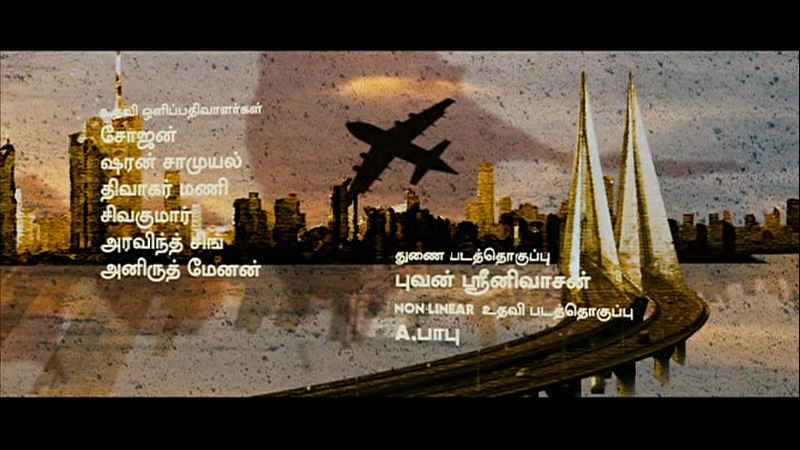 The Tamil voice-over seemed odd as I could still hear the Hindi words underneath and found that rather distracting, however it made much more sense that the terrorists and their sleeper cells in Mumbai would speak Hindi rather than be able to converse fluently in Tamil. The other problem I had with the film was the poor placement of songs, particularly in the second half. This is the only other song where I enjoyed the picturisation, but it just pops up in the middle of the action and feels very out of place. 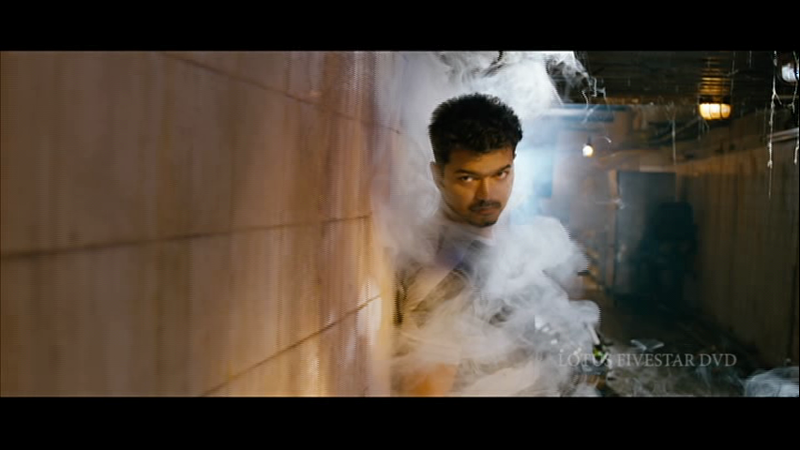 Jagdish isn’t a conventional movie hero and has shades of grey that make him a more interesting character. He is cold and calculating in his dealings with not only the terrorists, but with his family and friends as well. For instance, he thinks nothing of including his sister in the group of women kidnapped by the terrorists and is just as callous in his treatment of his fiancée. But on the other hand he has a genuine affection for his friend, the long-suffering Police Inspector Balaji (Sathyan), and has an obvious passionate loyalty to his country. In some ways he is no different to the terrorists he is fighting and the parallels between the two men provide another layer to the action. As seems to be his trademark, A. R. Murugadoss includes a message, and this time it’s a reminder of the sacrifice made by Indian soldiers at the front line. He includes a group of soldiers disabled by their injuries as part of the cast, and the final song is dedicated to the Indian Army. As an outsider it seems a little manipulative at times, but overall the sentiment is one I can share despite the sentimentality of the final scene. Thuppakki combines a good screenplay with excellent performances from the main leads ably baked up by a competent support cast. 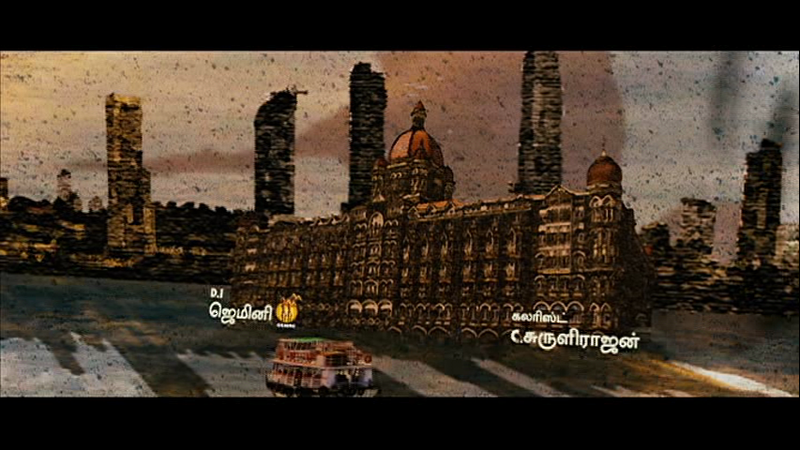 The cinematography by Santosh Sivan is up to his usual high standard and enhances the mood of the film. A little less reliance on the standard formula (action + romance + comedy x 6 songs) would have made this a better film, but as it stands it’s still an enjoyable watch. 4 stars.